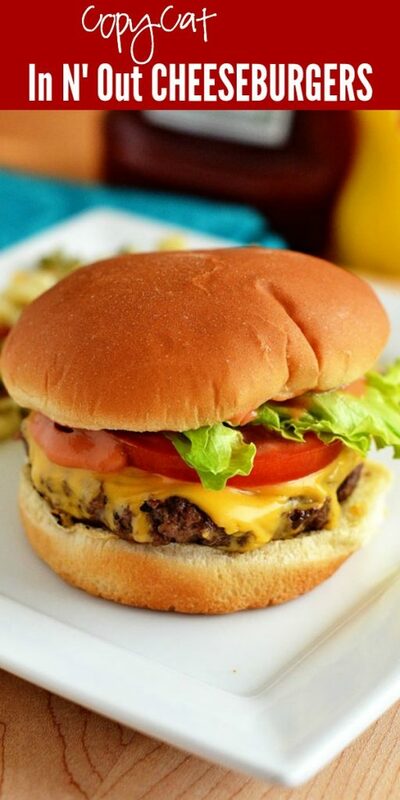 Juicy and flavorful cheeseburgers fresh off the grill! These copycat In n’ Out Cheeseburgers taste just like the ones from the famous fast food chain! I hope everyone had a nice, relaxing Memorial weekend. Ours was great! 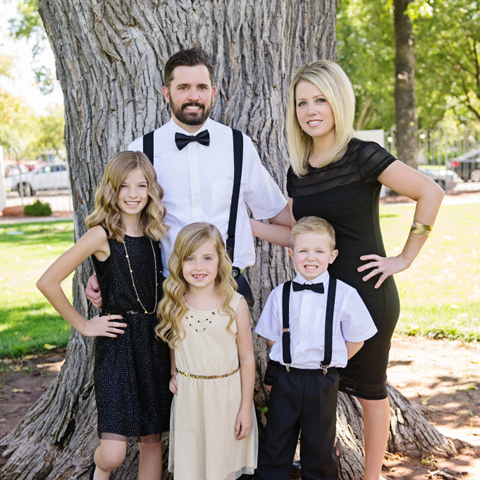 We took the kiddos to Las Vegas on Saturday. We spent the day shopping, eating, and hanging out. The best part was when we took them to the Mandalay Bay hotel. They have a shark reef inside that is filled with all kinds of exotic sea creatures. A golden crocodile, sea turtles, jelly fish. And of course sharks! eeek!! It was neat. The kids had a blast, so I was happy. 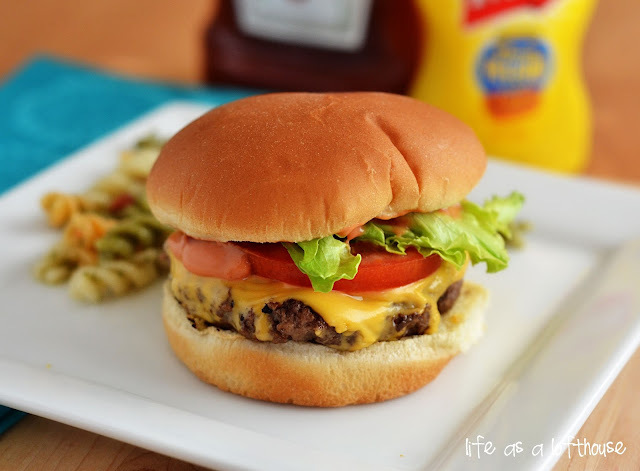 A copy-cat version of the popular cheeseburgers from In-N-Out! TO MAKE SECRET SAUCE: Mix all of the ‘secret sauce’ ingredients in a bowl. Refrigerate until ready to use. DIRECTIONS FOR BURGERS: In a large bowl, add ground beef, egg white, grated onion, worcestershire sauce, seasoning salt and pepper. Using your hands or a fork, gently mix together. Shape mixture into 6 thin patties. Place patties on grill or skillet and cook until no longer pink on the inside. About 3-5 minutes per side. 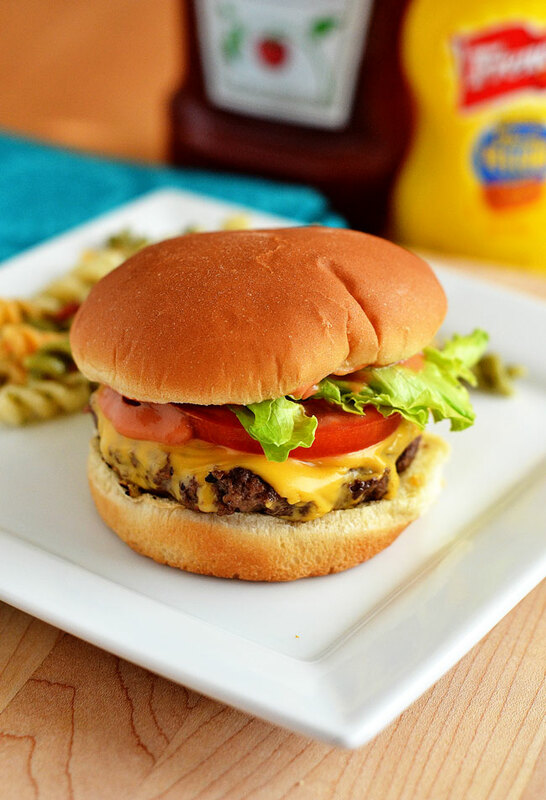 Place one piece of american cheese over the burgers during the last minute of grilling. Spread the secret sauce on each inner bun. 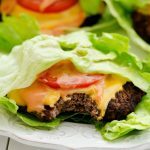 Place grilled patties on bottom bun and top with lettuce, tomato and onion. Enjoy! Oh fun! I have always wanted to go to the shark reef at the Mandalay bay! So glad u guys had so much fun! Holly this burger looks AAaaaamazing! Looks just like the real deal! I’m beginning to wish we had an “In-and-Out-Burger” here! Ive never seen one, but the burger sure looks delicious. 🙂 The shark reef sounds like fun! This burger look yummy….Will try out soon..I too have a chicken burger recipe in my blog check it out.. The secret sauce looks yum! Shall make ot soon. My kids are going to love it!!! I love Vegas! I’ve been out there twice now, and still haven’t made it to In N Out Burger unfortunately. If that sauce is anything like Big Mac secret sauce I’m sure it’s amazing! Yum! I have never had the pleasure of eating an in-n-out burger but will def have to try these at home!!!! Glad you had a nice time in Vegas! I love In N Out burgers. I never thought of making my own at home, though. Delicious! What a great sounding weekend. I love those family day trip adventures. This recipe looks so yummy. My mouth was watering looking at the pictures. I grew up eating In N Out and I was thrilled when they put one in where I live in Texas! Thank goodness… I’d really missed them! I’ve never had an In-N-Out Burger. (I think I just heard you gasp. But it’s true! I’ve never had one. Where are they?!) This looks delicious! Mmmmmmm nothin like an In-n-Out burger!! And it looks just like the real thing! Wow, you’re gonna put In-n-Out outta business with those burgers of yours. OH MY HECK! you just made this pregnant girl one happy chica! I LOVE in-n-out and crave them so much! thanks for this recipe! Bookmarking it to use asap! I am your newest follower and would love it if you would check out my blog and follow me too! Thanks! I’ve never had an In-n-Out burger. But this looks so good, your presentation is gorg! We have been grillin out lately and I love a good grilled burger. Definitely trying this one! Wow yes! I love in-n-out too! There is a new one being built in 10 min drive distance. We already have 3 in 30 mins distance. Thanks for sharing the recipe. We can cook it at home! Never had In & Out but I tried these. I don’t eat beef very often so I did make these with ground turkey (I bet the beef would have been so tasty). It was still flavorful and juicy. The sauce was nice, like a thousand island dressing flavor. My husband asked for seconds. My kids tried it (that was a miracle to see them eating anything other than PB & J, haha!) and seemed to really like it. My only thing is I despise grating onions but it really made the burgers juicy and yummy so it was worth it. I will make these again, a great burger recipe to have on file. Thanks Holly! Making these as we I type. Great idea we love our In-n-Out. I will let you know how it was if I am not in a happy burger induced coma. Oooh, I can’t wait to make these! I love In-N-Out, but when I moved up to Canada 12 years ago I was sad to see they don’t have it here. : ( I’ve always made the spread to put on my burgers though. I’d always order extra spread on my burger. Love it!! Now I’m happy to see I can recreate the actual flavor of the burger itself. Now it needs to warm up and stop raining so I can bbq. Thanks for the recipe. 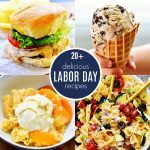 I found your blog on Pinterest and will be following you there and on FB! Looks great, cuz! I’ve also tried a 50/50 mix of thousand island and french salad dressings together with sauteed onions. Not as fancy, but it’s dang good too! Nom nom nom! I was about to comment on the best rolls recipe on Weekend Potluck when I saw this: My husband and the boys are In-N-Out fanatics! The closest one is 2 and 1/2 hours from here. I’m going to make these and see if he notices………now, if I could just get the french fry recipe! 🙂 Thanks. Looks rather promising. I like this for the fact that it is quite quick to cook and will include it to my list of Recipes & Ideas for On-Campus Cooking. Looking forward to making these soon, maybe this weekend. We now live in Oklahoma. My hubby wears his In n Out shirts frequently. People often ask if their burgers are really as good as people say. Yes, yes they are! Maybe this recipe will prove it? Anyway – made these last night and they were fabulous! Hubby had to restrain himself from grabbing another one 🙂 I used 2 lbs. of organic grass fed hamburger, doubled all the seasonings and made larger, thicker patties so they wouldn’t shrink up. I cooked them on our indoor grill, and they were juicy & delicious. 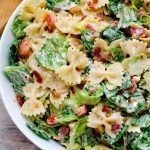 I think the grated onion really puts the flavor over the top, and we love that special sauce! 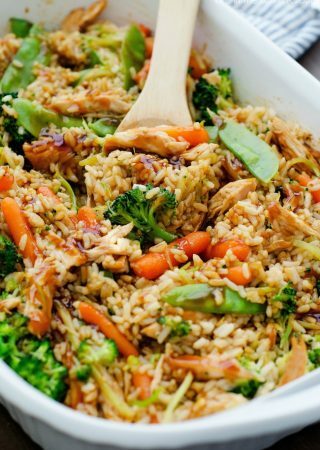 I’ve saved the pin to my “Best Recipes” board – thank you for sharing it! These burgers are so delicious! I have never had an in and out burger but the flavor of these was amazing!!! 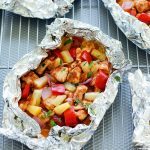 This is definitely a favorite keeper recipe! Thank you for sharing!!! My boyfriend loves In n Out burgers. I made these for him and he says they tasted very similar. They turned out really good. I have missed In and Out so much, we moved to Michigan from Encino, CA leaving behind all of the best burgers. Thank-you for the recipe!!!!! I never tried an In-n Out burger, but this recipe was very good. The grated onions really added flavor. I also liked the sauce recipe. I will make these again. 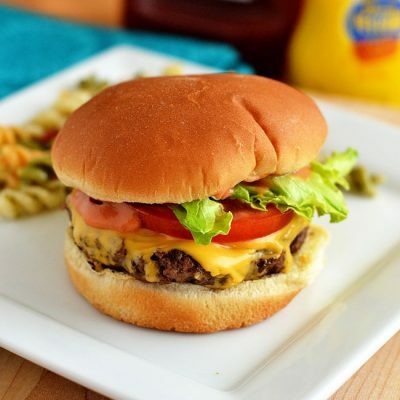 I love the idea to use Worcestershire sauce in your cheeseburger recipe. My wife and I love to try new cheeseburger recipes every week. I think we should try a new restaurant with our kids this weekend. Oh Yes !! They were Delicious !! It’s a keeper for sure !! Love the Sauce, it made it with the grated onion. I live 4 minutes away from an In & Out here in Southern California and I can honestly say that this is EXACTLY like a real Double Double. I won’t make hamburgers at home any other way now. I literally had these burgers 3 times in one week after I made them the first time.